After a seven-month nationwide search, Krieger Schechter Day School has announced its new headmaster – Bil Zarch, currently the Head of School at the Lander-Grinspoon Academy in Northampton, MA – effective July 1. Prior to the Lander-Grinspoon Academy, Zarch served as the Director of the High School at Prozdor Hebrew High School at Hebrew College in Newton Centre, MA. 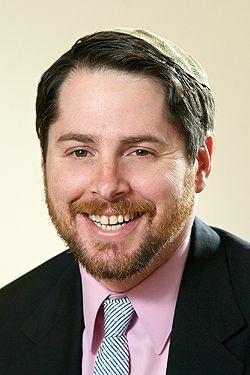 He earned his bachelor’s degree in public communications from SUNY Buffalo, a masters degree in Jewish education from Hebrew College in Boston and is a fellow and graduate of the Day School Leadership Training Institute (DSLTI). In addition to over 15 years of educational experience, Zarch has also served in his community as a member of the Board of Trustees of the Jewish Federation of Western Massachusetts, co-chair, Jewish Community of Amherst Rabbinic Screening Committee and Coordinating Committee and is a former member of both the Camp Yavneh Board of Directors and the Temple Hillel B’nai Torah Board of Directors. In 2011 he was awarded for Exemplary Jewish Community Leadership by the Jewish Federation of Western Massachusetts and the Harold Grinspoon Foundation. Zarch will be only the second headmaster in the history of Krieger Schechter as the current headmaster, Dr. Paul Schneider, steps down after 29 years in that role. The search committee, led by KSDS trustee and parent Ari Zaiman with members that included faculty, administrators, KSDS board members, Chizuk Amuno Congregation board members and members of other Baltimore synagogues, was assisted by national firm Independent Thinking (IT). In addition to the selection of a new headmaster, Krieger Schechter also just celebrated its 30th year serving Baltimore’s Jewish day school community.